8 types of perm that you should know! Still in our Perming article series, and also responding to so many incoming Live-chat in our website, we are now raising the famous question of: Do you know the many types of Perming here at One Pice Hair Studio? If the previous article has reviewed what is perming, this time One Piece will discuss the 8 types of perming in our service menu. So our dear pretty people, keep reading! We have varied types of perming and each has its own uniqueness. From Japanese perm to B-Bounce, selections for short perming or longer hair types. Our One Piece stylists are able to apply it to your hair with stunning results. Here, we will discuss about Japanese Perm perming type, Digital Perm, Digiclip Perm, Special Perm, C-Wave, Digital Silky, B-Bounce, and B-Moist. Of course all the perming we offer uses Nano Steamer, the latest steam engine technology imported directly from the Cherry Blossom / Sakura country and certainly effective to induce hair vitamins into hair shaft through water vapor nano-particles that brings shine in finishing result. As the name suggests, this type of perming uses curlers called Japanese rotto, so the result looks more natural and soft. This type of perming is more outstanding in wet look curl style and easy daily styling since all you need is a proper styling lotion and you’re ready to go. The process can takes up to 2 hours. However, the perm itself can last for 2 to 4 months. For this type of perming, One Piece is using digital tool and digital rotto machine. 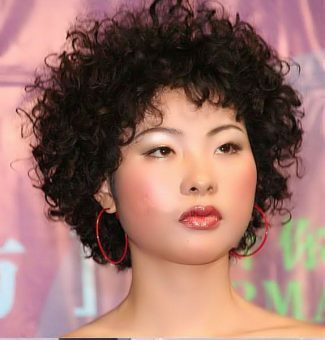 In contrast to Japanese perm, the results of this type of perm will be more visible in dry styling. In addition, the resulting large curl will be stronger and bouncy. The process can take up to 3 hours and curl can stay for 4 to 6 months. Digiclip perm is a permanent curl that applies Japanese lotion by using digital perm rotto and roticized to your hair through a digital perm machine. This perm is suitable for you who have rather damaged hair. Why? Because by choosing this type of perm, your hair will have the wavy mesh look and disguise the damaged hair. Perming process is fairly fast because it only takes about 2 to 2.5 hours and curl can last up to 5 months. Not many people has the special confidence in flaunting a bold curl, are you? Well, this type of curl has its stand out presentation since the result of this type of perming is small to medium curls evenly styled throughout the head from the roots all the way through the tip of hair. Special perm also use a curling tool called Japanese rotto and can stay for about 2 to 4 months with duration of process for 2 hours. This type of perming takes 2 basic steps; the straightening part of hair from the root and the smooth C-curling hair tip. Pretty much like having a natural blow dry. This perm is suitable for you who need a quick touch ‘n go mode every day. C-wave perming is a combination of Silky Straight with Japanese perm which process takes about 3 to 3.5 hours and curl stays for 3 to 6 months. Digital Silky is a type of perming that combines Silky Straight technique with Digital perm. 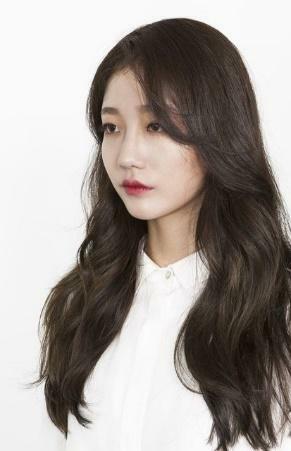 This type of perming is similar different from C-wave, because it also combines the straightening part from hair roots but with more curls at the end of the hair. The technology used in this perming is digital rotto, straightener, nano steamer to help keeping the hair moisture, and also a digital machine for curling. The process can take about 3 to 4 hours and curl can stay for about 3 to 6 months ahead. medium to longer hair: Falls in to the perming category as well, B-Moist is a combination of One Piece’s B-Straight (hair straightening) with Digiclip perm. This process takes 3 to 4 hours by going through several stages such as straightening hair from the root to the center of the hair followed by wavy perming from the center to the tip of the hair. The combination of straightening and perming can last for up to 4 months, while for the straightened hair can last long enough, almost permanent, until new hair growth. Hair results are created from this technique is a very natural wavy mesh curling, so you can look more elegant and confident when leaving. medium to longer hair: Well, for you who like the texture of more bouncy hair, this type is perfect for you who likes to hang out or parties. B-Bounce is a combination B-Straight and Digital perm. Process stages and processing time is very similar to B-Moist type. However, B-Bounce will last longer up to 6 months. So there you have some explanation of the perming types available in One Piece service menu. Have you decided on the perming type you like? Even if you haven’t, please come and visit our outlets and have a free chat with any of our stylist to consult on your needs and hair condition for great and maximum results. Also don’t forget to continue giving your hair more TLC (tender, love and care) after any styling process. In the next article, we will talk about One Piece treatments for a happy hair and shiny ‘crown’! The Perms are Making a Huge Comeback! Apakah anda bisa membuat permanent beach wave khusunya untuk jenis rambut Fine hair Dan kalau ada berapa harga nya?